I recently bought some Platsil Gel10 to make robotic skin from www.dauphines.co.uk they did a good price, and also sell plastic human eyes aswell – something cheap and chearfull that i could use on my larger heads. I bought 2kg tubs of the stuff, as well as skin pigment for the silicone. that and 2 eyes came to £61.20 plus £7 postage. here you can see the small ears i made – these are about 3cm tall. I started off with 2 inmages from google – a portrait and a side view of a male, i resized both to the same size and then used these to cut out a wooden template. 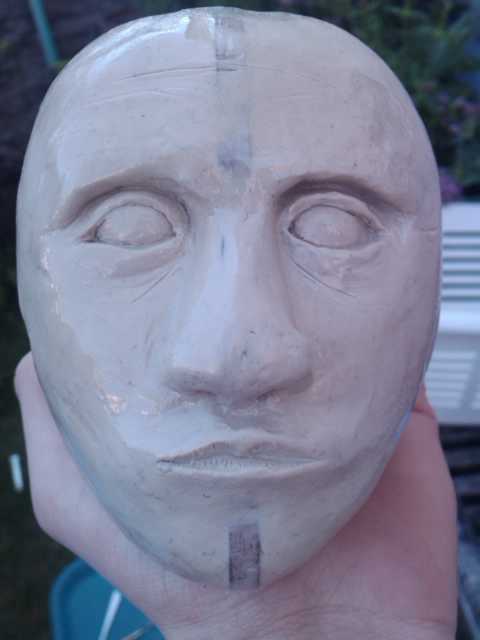 The clay was then sculpted around these 2 pieces to form the smape of the head. this is a close-up of one of the ears. I am pleased ith this one. I didnt use any references but just feeling my own ears. 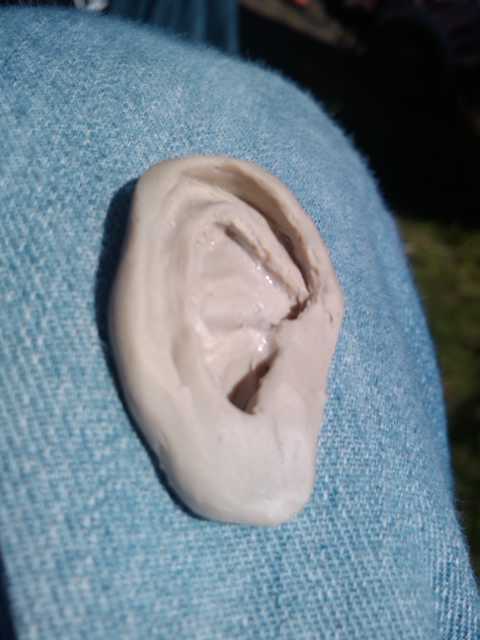 Sadly, copying this ear pattern to the other side was more difficult than I thought it would be. 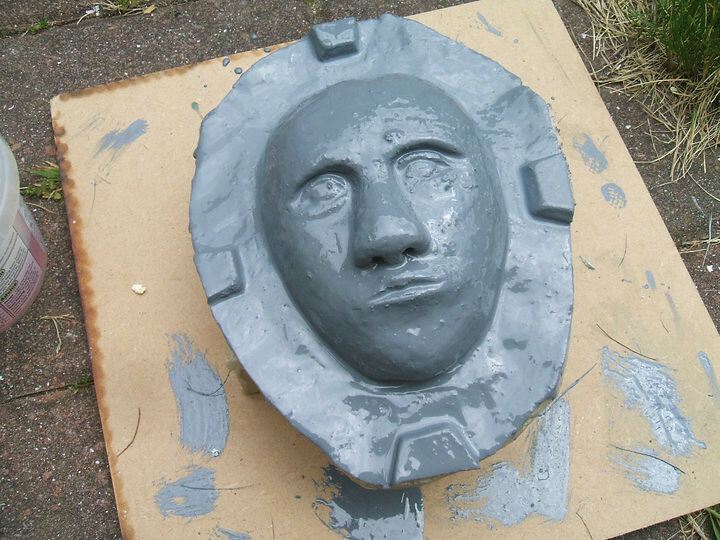 This is the final head with its acrylic coating. I should have spent more time smoothing it down, but this being my first project to hopefully a good portfolio, i wanted to just get it done and see what it looked like. 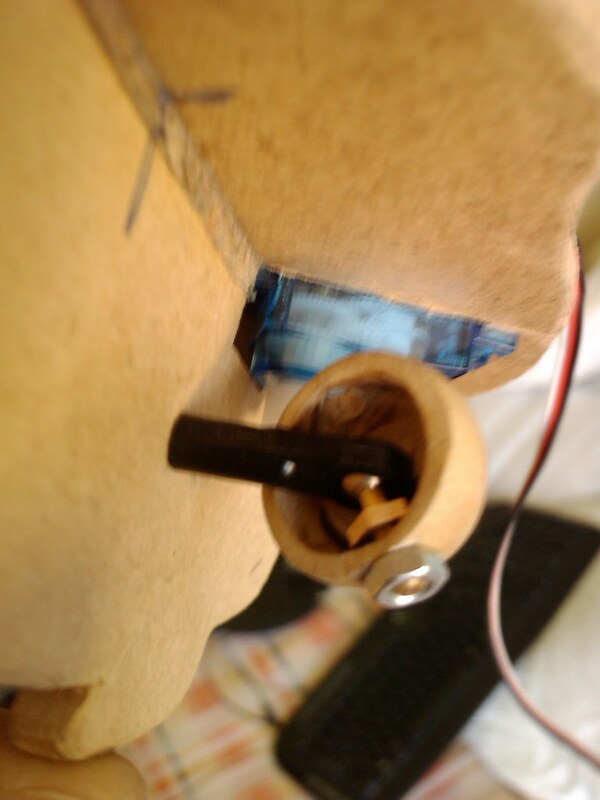 The servo will be mounted behind the eyes, and this is an ongoing task. 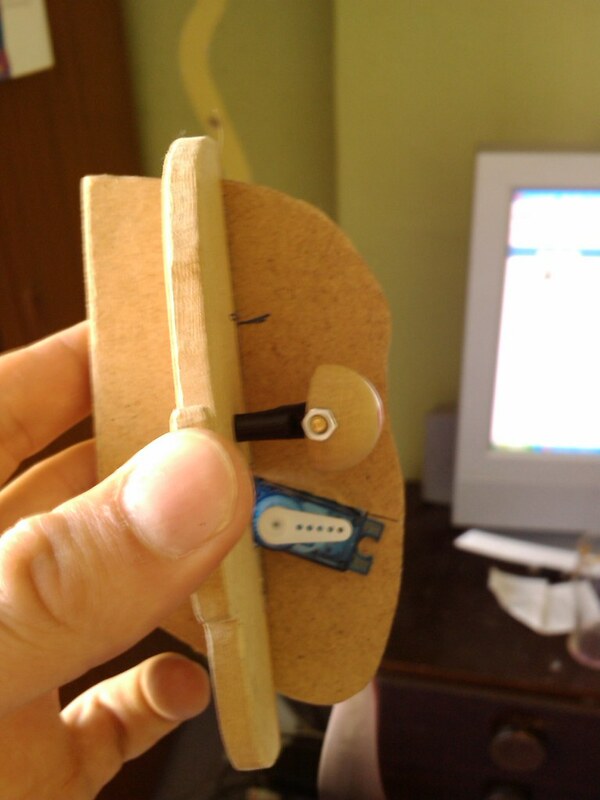 – the servo seen in the picture is for the jaw. 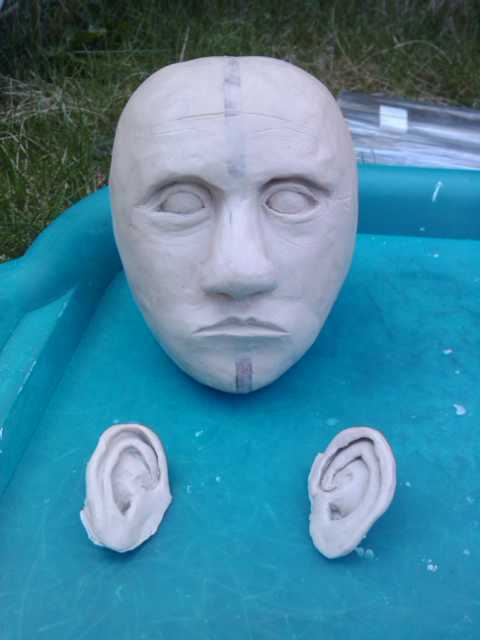 The wooden shapes are taken from the ear-to-ear template i made for the sculpture. 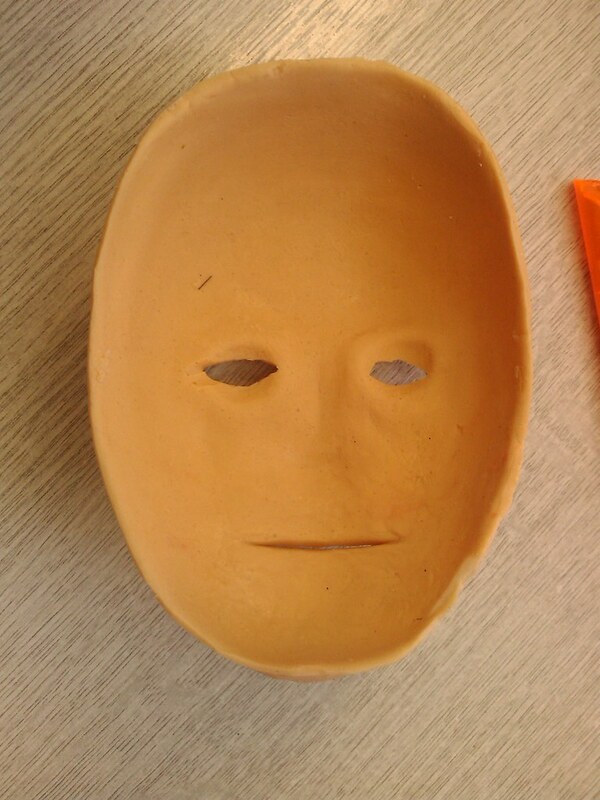 The front to back piece was cut out using the rear of the mould used for the skin. This means that there is a small gap between the skin and this piece – to be made from aluminium at a later date. 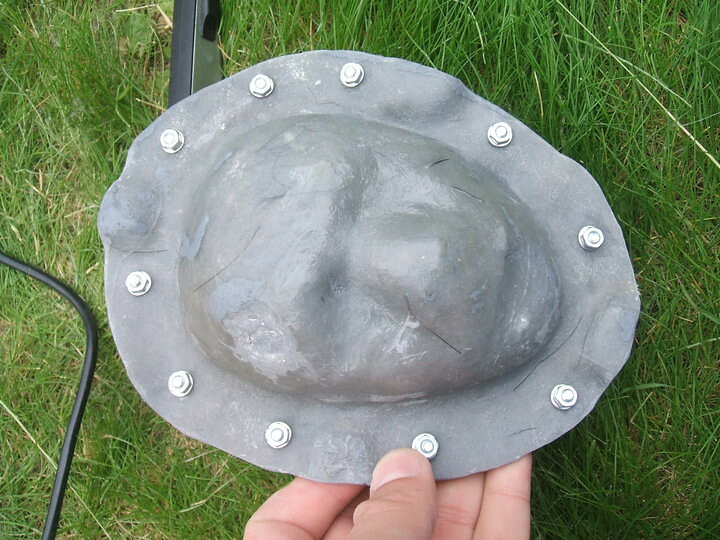 This is the outer skin, it is made by layering thin clay into the negative fibreglass mould, then a layer of fibreglass is layed ontop of this. The inner mould was made which overlapped the edge, which means i can refit the inner mould to the existing keys from the front so that it all lines up correctly. The rear of the skin shows the thickness and the nose which i filled in with the silicone to create a smooth base to fit onto the metal chasis inside when i finished it. This method uses powdered acrylic And a liquid (similar to acetone but smells much more potent) which melts and bonds the acrylic particles together. This creates an acrylic liquid which is pourable into the moulds. 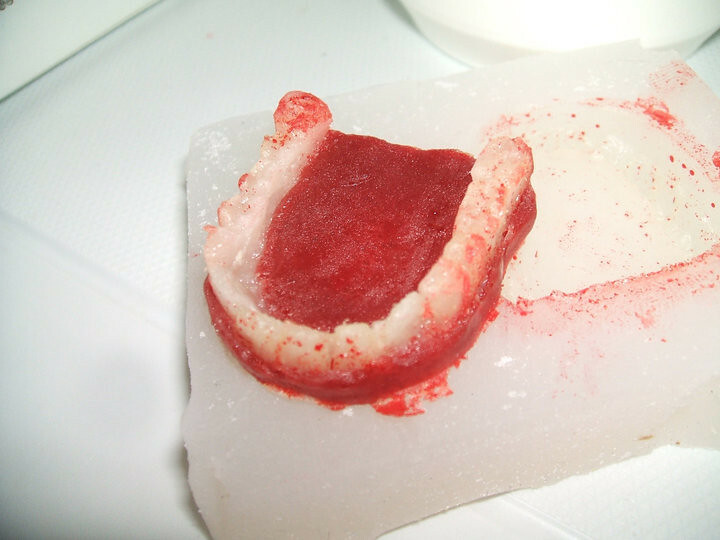 Pouring the acrylic liquid into the mould made castings of the teeth. 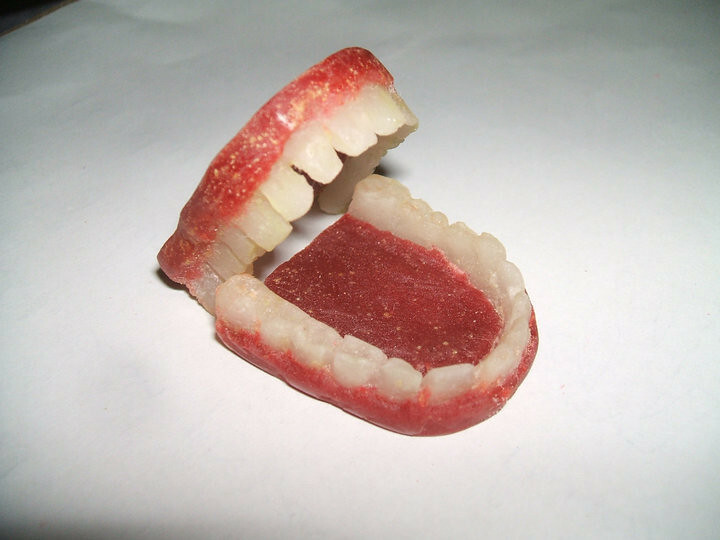 I did this twice, then using a dremil I cut away the gum part of the casting to reveal just the white teeth. Using food colouring, I made some more acrylic liquid and turned it red. 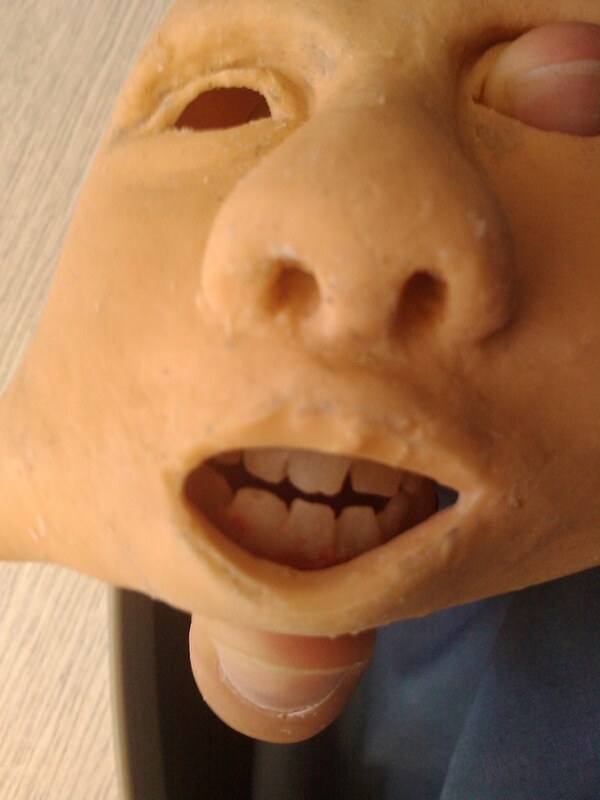 I placed the teeth into the mould, using a bit of petroleum jelly to seal the teeth and to stop the red acrylic sticking to parts of the teeth, I poured in the red solution. The red gum part is a bit dark, and it also spilled onto the teeth, but because of the petroleum jelly, this was easily cleaned off – tho some staining had occoured. Next time i will be using special gum coloured dental acrylic, sadly i thought i bought white and red coloured stuff, but i hadnt. I will not be using food colouring again and i dont really recomend it! So there we go, this is where i have got too. 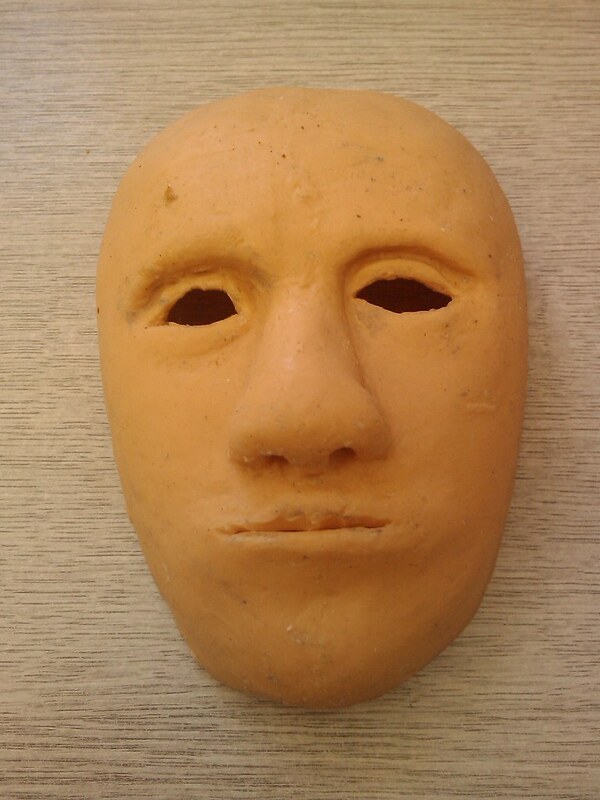 Hi all, thank you for the information relating to the skin silicone. In the end i bought Platsil Gel10 from www.dauphines.co.uk they did a good price, and also sell plastic human eyes aswell – something cheap and chearfull that i could use on my larger heads.